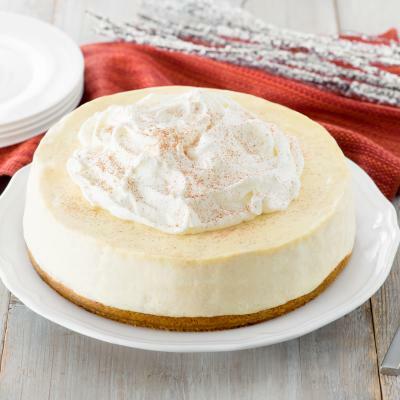 This recipe gets double egg goodness with the egg bread and the eggnog. Challah is a tasty choice but any bread will work well. 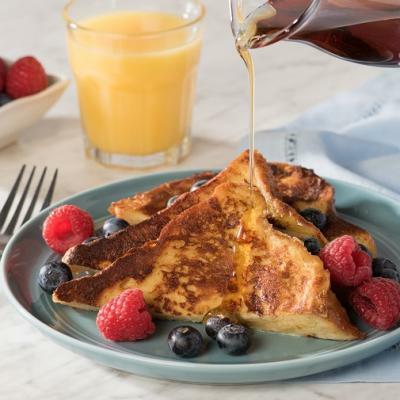 French toast is good way to use up day old bread. In bowl whisk eggs, eggnog, cinnamon, nutmeg, salt and vanilla. Dip challah slices in egg mixture, soaking for 10 seconds. Let excess drip off. Melt 1 tbsp (15 mL) butter in non-stick skillet over medium heat. Fry bread in skillet, turning once, for 2 to 3 minutes. Repeat with remaining slices, adding more butter as needed. 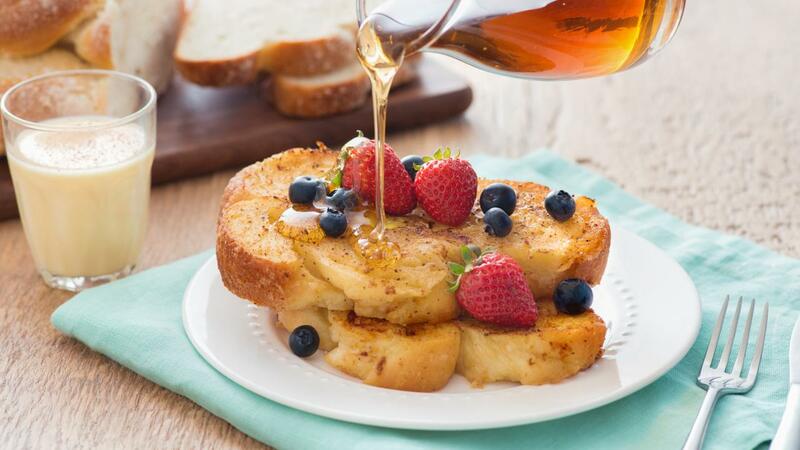 Serve with maple syrup and fresh berries. 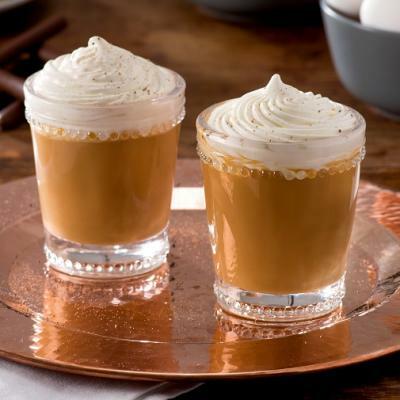 Try using our Holiday Cheer Eggnog in this recipe.